South-west Singapore. 38A, 38B, 38C, 38D Jalan Mat Jambol. 72 units, 4 blocks. 4 levels. Freehold condos. Completed: Around 1984. Advantages: Low rise, spacious living areas as this nearly 30-year-old condo is rented out at affordable rentals compared to newer condos. House-hunting over 3200 sq. ft condos, 4+1 at $9,000. 5+1 3318sf $8,000. Newly renovated unit. 17 years old (completed 1983). Enbloc sales unlikely as there is no benefit for the developer. Short cut path to Adam Road or Dunearn Road. Beautifully landscaped. Walk up to 3rd level as there is no lift. All rooms surrounded by green trees, but heavy thunderstorm and lightning mask any traffic noise, if any. Facing pool and in the distance, Dunearn Road. Retractable awning keeps balcony (table & 2 chairs) dry 90%. 4 or 5 trickling streams of water in lower guest (mahjong room) indicated a recent water seepage from the flat roof. The solution is to cover the flat roof with sloping roofs. Entry foyer separated from living room and balcony by a glass partition. Guest room to the left. Glass louvered windows reminiscent of the 1950s to the left has light from the air well. Most owners simply install sliding windows. Air conditioner compressor of lower maisonette produces some sound. Upstairs, big family area with 4 big bedrooms. Owner wants to put quality "floral" carpets (plain pastel coloured ones will be best for Caucasian expat tenants). All wooden strips outside rooms. 3 attached bathrooms, cable TV, white cabinets, dark brown closets. Airwell enclosed by glass louvered windows brings light to all rooms. Good-sized utility area & maid's room. Good tastefully re-modeled unit with white cabinets for active expats with grown up children as you will need to walk to 3rd level (few steps). Apartment with green trees and light gives a good feeling to the German lady. 2nd viewing on Saturday with husband. Resort like ambience in a low density condo. No gym or tennis court but a short walk to the Dutch/Japanese Club. Pool, squash court, covered car park, security only. Condo looks good. 80% of the residents are expats. Excellent landlady. Keng Chin Road 5-min drive to Orchard Road. Guest room & maid on level 1. 4 bedrooms on level 2. Car park sheds and security. Almost white marble flooring makes the living and dining area much bigger although it is very spacious. Perimeter balcony for plants, table and 2 chairs. White kitchen cabinets, breakfast counter, big guest room and utility, maid's room. Ducted air conditioning in the living area. Upstairs, big family area surrounded by 4 bedrooms. 2 bedrooms have attached bathrooms. 3 bedrooms are bright. Upscale white jacuzzi bath and master bathroom with grey-spotted counter top makes this bathroom irresistible for expat wives. Overall, the apartment is bright and quiet but views are of other buildings in the distance. Nice pool but gym is actually an open space outside a squash court. No tennis court. One block, private lift lobby and looks good. UPDATE IN 2011: THIS CONDO IS DEMOLISHED AND REPLACED BY A NEW CONDO. Near Tanglin Mall but balcony of "..-02" faces main Orchard Boulevard Road. Most expats don't open the balconies as this will cause condensation of the air conditioning. ...-01 and ...-01. $10,000. Above 18th floor. Near Tanglin Mall but balcony of "..-01" faces main Orchard Boulevard Road. Series "..-03" will be best as the apartments face away from the Road. 06-03 rented for $7,000. Orchard Bel Air has great location and should be easy to rent if Owners do a good renovation job. Central air conditioning as part of the maintenance fees of at least $1000 per month is paid by the Owner. Hence the tenant saves on air conditioning maintenance. Pool at level 3, good-sized new gym, low density. Security. No garden. Beautiful wood in all rooms. 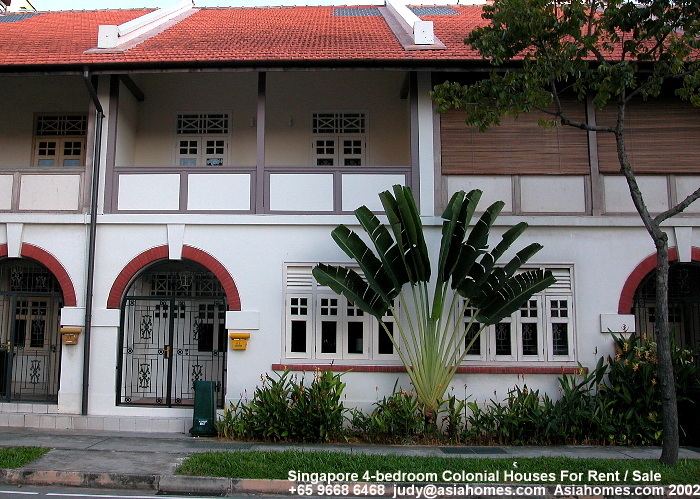 Big terrace, but facing Farrer Road for the living area. Pool upgraded. See Blk 10 #02-01 rented. Blk 10 #04-02, #04-01 end April. Facing Farrer Road. If you don't open the balconies, it will be quieter but this German lady wants to be able to open to a quiet balcony. Concerns with traffic pollution. 2 quietest blocks renting at $11,000. Top choice as a condo, but the quietest 2 blocks do not have any vacancies and are asking higher rent. Placement of the European-sized washing machine and dryer may be a problem in some units as there is insufficient space. Usually installed at the maid's bathroom area. UPDATE IN 2011: A new condo with the same name has replaced this old one. 38D Jalan Mat Jambol, Upper maisonette, #2nd floor 4+1 3500sf. $7,000. 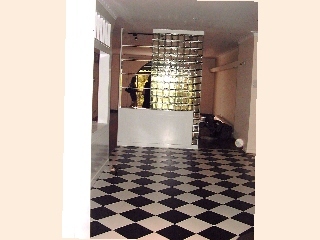 Complete renovation agreeable. Upper maisonette, living area with balcony and one bedroom with sea view. Low rise, 12 years old. 10-min bus to United World College and University (2 miles away), but no bus to the German or French School. This bedroom in Blk 38D, but not all units have a sea view. 50% of the residents are expats. 20-metre pool. No gym. Tennis, squash courts. Concerns with air pollution from the oil refineries in the distance. 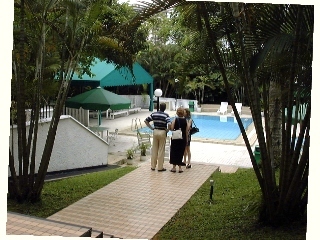 Mr M, an existing tenant said that the condo is good, with many expats. Only one day out of the 14 months did he get a whiff of the wind from the refineries. Bathrooms & tubs look ancient when you have seen newer condos. But you do have the spaciousness and the greenery and tranquility of a low rise condo. Rooms are smaller for 4 bedroom units, there are 3 levels to climb. Expect the kitchens and bathrooms to show signs of wear and tear after you have seen the new condos. Unless the Owner has renovated, Island View's units are not too hot with most newly arrived expats. Good for expats who don't like to live in congested Orchard Road area and whose office is nearby or in the Science Park or Jurong.